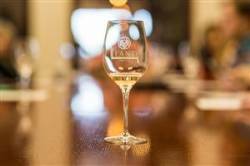 Dive into the history of the world-renowned glass making family, Riedel, with Llano Estacado Winery and experience the impact that the shape and size of a wine-glass has on your favorite wines. Riedel has been revolutionizing the glassware industry since 1756. They're the only company to create a complete line of varietal specific wine glasses. A Riedel Glass expert and our Winemaker, Jason Centanni will be utilizing a set of 4 Riedel wine glasses as we taste through some of Llano's award winning wines to demonstrate how your favorite wine pairs with the perfect glass. The set of 4 Riedel glasses, valued at $118.00, is yours to keep!